Not that I have a style, but this card is a bit more embellished than usual and I LOVE IT! 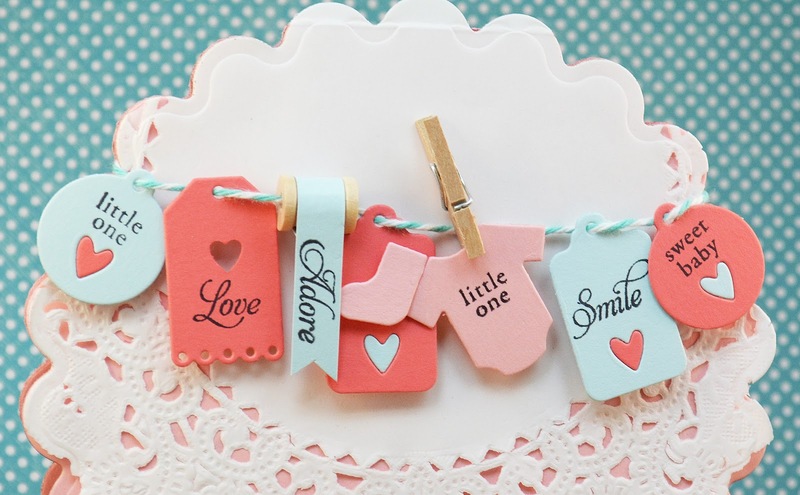 The tiny tags are perfect for a baby card and I love the slightly updated version of pink/blue. My favorite details are the wooden spool flag and the mix-matched heart inserts. Cute to the nth degree! Well, my parents are coming over right now for the Superbowl (only 5 hours to game time). Gotta love "retired people" time, lol! I won't get to play again today, but I'm so glad that I was able to join in all the fun! Thanks for visiting! So super sweet! Love the different coloured hearts in the tags! Ohhhh - I just love this card! 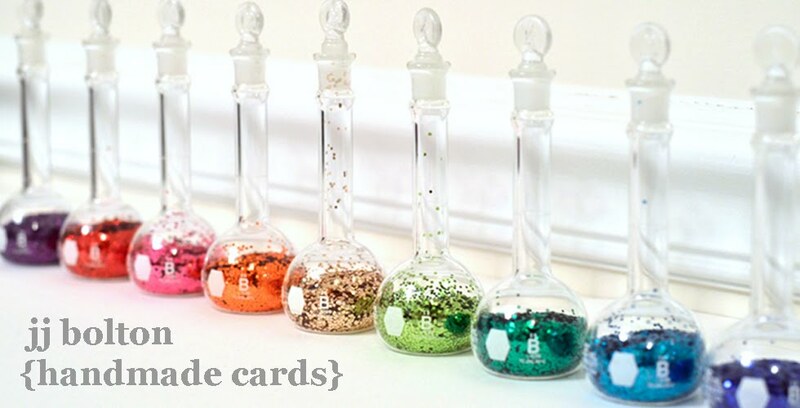 You've done a great job casing Ashley's card! Don't you just love tiny tags? I can't get enough of them. Oh my!!! SO ADORABLE!!! LOVE it!!! This is so stinkin' adorable I just die! This is just adorable and I love the colors you chose! Also love the round card! Love it! The mini spool is a great addition to your card. What a great selection of colors too! Thanks for playing along! Hope you had fun with the Superbowl...my hubs actually had the day off, but can't stand either team, so he pouted instead of watching it, lol. Wow! How cute is this?! Love the wee onesie, and the banner on a spool, just tooo cute!